You are currently browsing the Bringing Jerry Zimmer Home blog archives for May, 2016. 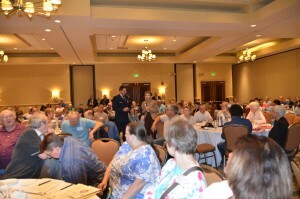 Two hundred MIA families attended the DPAA regional meeting in Boston. When invited to talk a little about their loved ones, it was apparent that some found the experience cathartic, while others found it difficult. As always, it was a very moving part of the program. New Englanders often take a while to warm up to newcomers, or so they say, but as one who was raised in that part of the country, you could have fooled me! It was apparent that families attending the May 14, 2016, Regional Meeting of the Defense POW/MIA Accounting Agency (DPAA) in Boston, MA, warmed up immediately to DPAA Director Michael Linnington. A number of them stood up during the meeting and expressed their thanks for DPAAs efforts to account-for their loved ones, still classified as MIAs from WWII, Korean War, Vietnam War or Cold War conflicts. “It means a lot to my family,” said a family member whose loved one is still unaccounted-for from the Korean War. 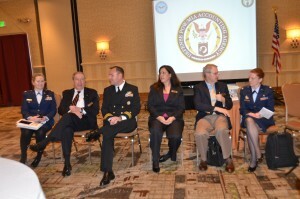 As is customary, Linnington and his team of DPAA experts covered nearly every aspect of the accounting program, from 8 a.m. to 5 p.m., consisting of presentations and Q&As by Jack Kull, Policy Advisor; Dr. Rebecca Taylor, Forensic Anthropologist; Lt Col Alice Briones, USAF, Director DoD DNA Registry; along with three analysts, each of whom specialize in a wartime location for DPAA: Daniel Baughman, Chief of Korean War Research & Analysis; Major Shannon Lee Coleman, USAF, Research & Analyst, European and Mediterranean area of WWII; and LCDR Michael Rancour, USN, Southeast Asia Analyst, Vietnam War. Also present were numerous other specialists, critical to the accounting program, such as the Casualty Officers from each of the Armed Forces, along with others involved in internal/external communications. Todd S. Livick, Director, Outreach and Communications, is a new addition to the DPAA leadership team. Although Livick is a newcomer to the accounting program, he is definitely not new to his field of expertise. Livick is an Army veteran with extensive background in all aspects of government relations, including serving as a former Deputy Special Asst. for Public Affairs in support of the Chairman, Joint Chiefs of Staff. Barbara Grybz was presented with a collection of medals, earned by her brother, who is classified as MIA in Vietnam. 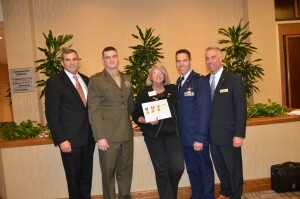 This special presentation was made by (L-R) DPAA Director Michael Linnington, accompanied by Capt. 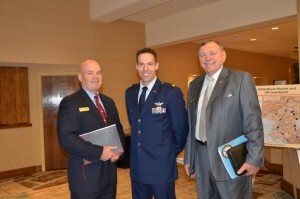 Jim Prial; USMC; Major Craig Chereck, USAF; Mike Fowler, DPAA Outreach & Communications Directorate. Every time I attend an MIA family meeting, as in Boston, I am amazed at the level of interest, love and hope on the part of families who lost loved ones dating back to WWII and Korea. Yes, as expected, many of the 200 attendees were extended family members, but not all, who had inherited a loved one’s case from another family member. Yet, neither time nor relationship to the MIA had diminished their dedication to the mission. I listened to their stories, saw their tears and was once again reminded that pain is not exclusive to my wartime generation. (L-) Todd S. Livick, Director, Outreach & Communications, DPAA; Major Craig Chereck, DPAA; Johnie Webb, Deputy Director, Outreach & Communications. 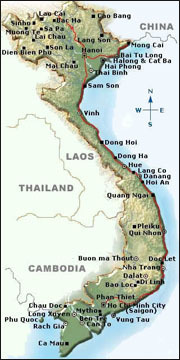 However, the founding of the current recovery efforts is considered exclusive to the Vietnam War generation, thanks to the dedication and sheer determination by some very special families, veterans and politicians – early-on – that were instrumental in creating the global, ongoing recovery programs that we now take for granted, covering the Vietnam War, WWII, Korean War and other conflicts. Were it not for people like Sybil Stockdale, Anne Mills Griffiths and other determined diehards, this great humanitarian effort would probably have ended decades ago. We owe them a debt of gratitude. Strategic Partnership Programs: Linnington was clearly enthused about discussing the level of interest among academic institutions, tech companies, and the list went on of organizations that have already formed partnerships with DPAA which are being implemented in 2016 to augment and assist all areas of the accounting mission. Although partnerships are not entirely new to DPAA, the concept is now officially sanctioned to help speed up the recovery process, particularly in WWII locations. For professional organizations wanting to get involved, I suggest that you do your homework before contacting DPAA – the agency has a terrific website — www.dpaa.mil/. NOTE: Linnington stressed that laboratory services involving identifications of our MIAs, are not open to partners. DPAA has a state-of-the-art laboratory and world-class forensic and DNA technologists. Director of the partnership program is Dr. Tom Holland – I am looking forward to learning more from Holland about Partnership Programs during the upcoming 2016 Family League/DPAA Annual Meeting in D.C., June 22 – 25, 2016. (more info in next blog). Strategic partnerships are a true force multiplier. (The accounting program is huge, especially in the area of field operations. Partners can make a huge difference). From the Field: Dr. Rebecca Taylor discussed the recovery process, of which she is very familiar, having already led 11 global recoveries. I first met Taylor in Vietnam during one of my visits and was told that she is topnotch. Her short, amateur video of a WWII excavation in India kept us all riveted and was proof positive of her dedication to the mission and that of DPAA team members. Check it out — I think you’ll agree.